After a long evening of trimming, I’ve got a couple dozen salad size plates and a large salad bowl on drying boards. 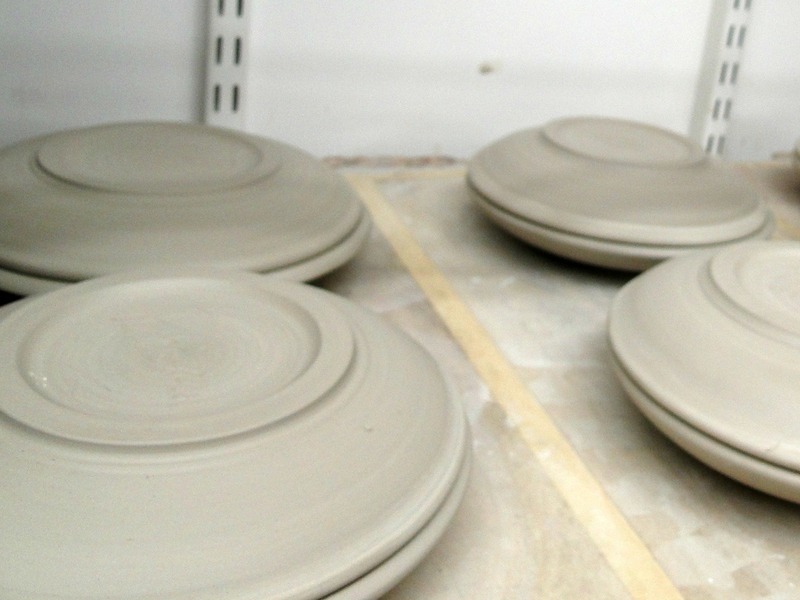 Plates always make such a great glaze canvas. What colors should these be?